Helmer Lake Recreation Site is closed due to flood damage at the site and the Swakum Mountain FSR being washed out. It is predicted that the site will be closed until the site can be redesigned and improved for the 2019 camping season. Site Description: Helmer Lake is a popular destination for fishing, camping, and hunting during the spring, summer and fall months and is just a minute drives off the Coquihalla Highway. In the winter months, the recreation site can be popular for snowmobiling on the nearby user maintained and unmarked Swakum Mountain Snowmobile Trails. 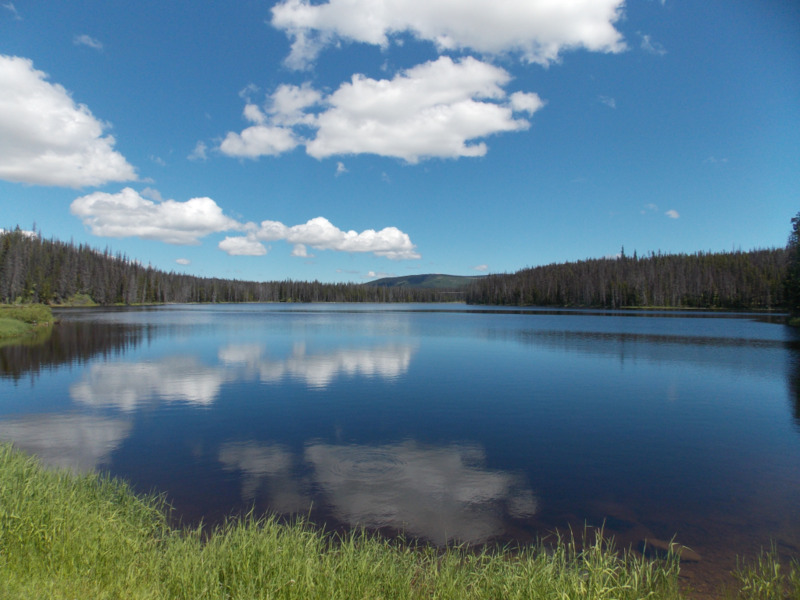 This sunny campsite is located at the south end of the lake and can accomodate large and small camping rigs. Driving Directions: From Merritt, travel north 24 kms on the Coquihalla Highway (Hwy#5). Exit at the Helmer Interchange (Exit# 315 ). Travel west, and turn onto the gravel road and pass through an open gate. Follow signs to the lake. The lake and campsite are approximately 1 km from the highway exit.